A dynamic fit and flare design. 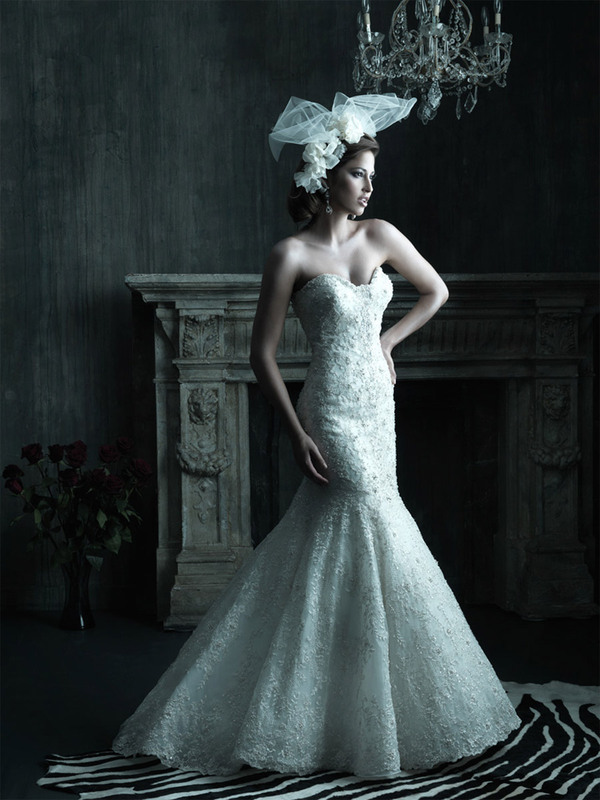 This gown features a defined strapless, sweetheart neckline and fit and flare silhouette. 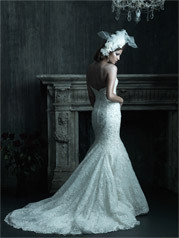 The entire gown is adorned with delicate lace applique, embroidery and is encrusted with Swarovski crystals.